I will say it from the start: buy this, if for anything, for the extraordinary b-side which is track two. We all know "Smells Like Teen Spirit" is Nirvana's most popular song. But if you are looking for the same sound as that smash single provided, you won't find it with these two bonus songs. 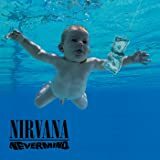 Both "Even In His Youth" and the single version of "Aneurysm" are coarse, unpolished songs that wouldn't quite fit in with Nevermind`s sound. Nevertheless, this CD-single is a must-have for the true Nirvana fans; thanks to the two extras. I cite "Even In His Youth" as one of the best Nirvana songs ever; as it features some of the most creative lyrics Kurt ever wrote. The line `if I die before I wake / I hope I don't come back a slave' is scornfully brilliant and noteworthy. It would've fit in, more appropriately, on In Utero. Many other reviewers have said time and time again this same thing. 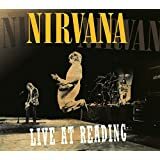 And although "Smells Like Teen Spirit" is easily the band's finest radio hit, I don't doubt the fact there's a few hundred fanatics who'd rather hear "Even In His Youth" over and over and over instead of track one twice. Those people are the true fans. This single looks like it's only available used, but pick it up anyways. 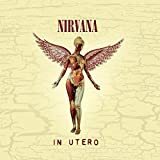 Still, if you're an average Nirvana fan (meaning you only like Nevermind) who doesn't enjoy the sounds of In Utero, Incesticide or Bleach, then you won't get much out of listening to this. However, if you are in fact a dedicated Nirvana fan and/or are looking for hard-to-find songs, this is the ideal place. 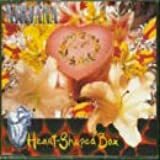 "Even In His Youth" alone makes this compact disc 4 stars; and the rare edition of "Aneurysm" boosts it up to five. Oddly enough, the title track here has no bearing on the greatness of the CD. If you only want that song, buy Nevermind. I got the CD in great condition and on time. It was just as they described it would be. Definitively recommend buying from them. A lot of people feel that buying singles is a waste of money. I've been an avid collector of singles since I was a child in the *gasp* early '70s, and strongly disagree. When Nevermind came out, I was broke. VERY broke. I'd just moved halfway across the United States, and got robbed along the way, so I arrived in Arizona with little more than the ID in my wallet. 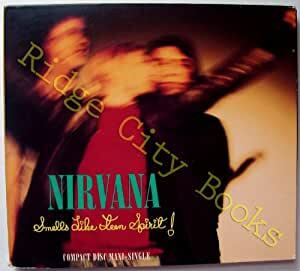 It was November 1991, and radio and MTV had just started playing 'Smells Like Teen Spirit' by this unknown Seattle 'grunge' band called Nirvana. I liked it. A lot Fortunatly the kind (or would that be greedy) folks at Geffen released the song on a cassette single, which was very cheap. 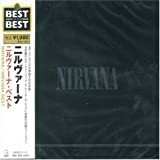 Since Nirvana was considered an unknown new artist, the cassette single was even cheaper, so I bought it the first time I saw it without hesitation. I was particularly blown away by how good the b-side 'Even In His Youth' was. To this day it's still one of my favorite Nirvana songs, and it amazes me how many younger people who say they just LOVE Nirvana have never heard it. One of the many things I've learned by collecting singles was that I could get a quick idea of how much I'd actually like a band's album by how much I liked the b-side they stuck on thier hit single. 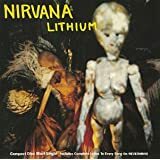 'Even In His Youth' is an amazingly intense song, with all the angst and aggression that went on to make Nirvana legendary, and while it doesn't have as much studio polish, is much better than many of thier album tracks. 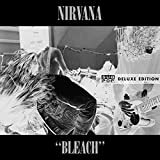 This single was my main motivation to buy "Nevermind" and "Bleach" right at the beginning of 1992. 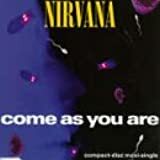 If you've never bought a single before, and you consider yourself a Nirvana fan, this is the perfect single to start with. 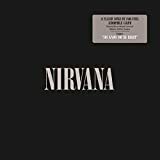 The bottom line is if you're a Nirvana fan, you need this, because your collection is truly lacking without it. Also, if you don't collect singles already, you should really try doing it for a while, you might be shocked at how many b-sides rock your world.